I went up the world's tallest building: the Burj Khalifa, in Dubai. Here is a collection of little tips to help you plan your visit. 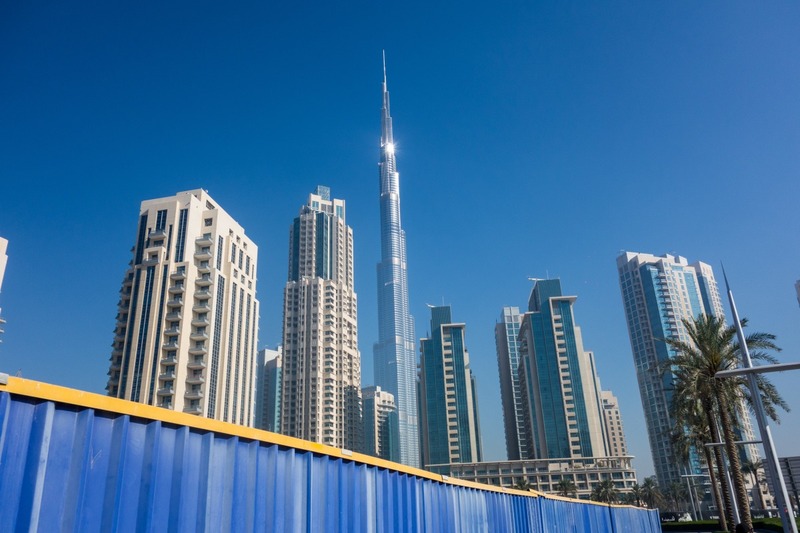 In my quest to visit tall buildings all over the world, there was one on top of the list: the mighty Burj Khalifa, in Dubai, the tallest building in the world. In 2014 I finally had the chance to visit it during a 2-day layover in Dubai. The Burk Khalifa is a marvel of architecture and engineering. Designed by SOM , it stands at 828 m tall (163 floors). It is 196 m higher than the second tallest in the world, the Shanghai Tower. 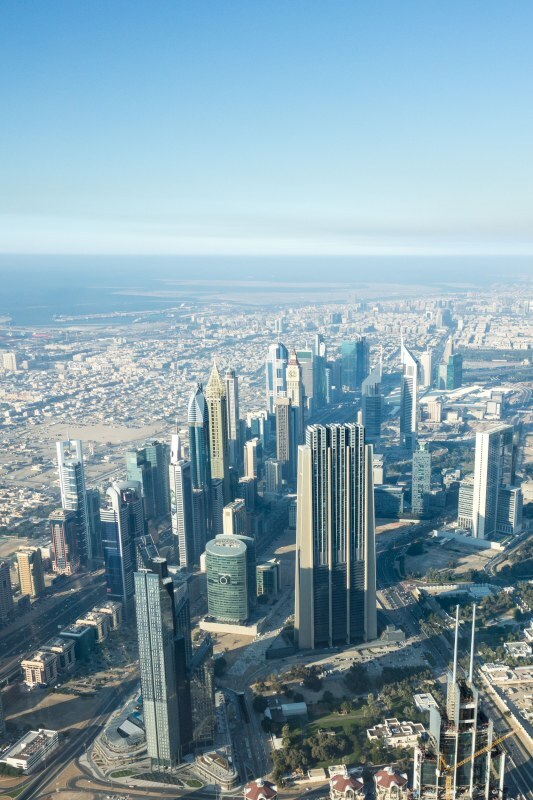 It should guarantee its top position until at least 2020 when the 1000m-high Jeddah Tower is planned to top-off. Until then it is still on top and is a must-visit for any architect interested in high-rises. The planning started weeks before. After some consideration, I decided I wanted to visit the building at the end of the day and extend my stay until nightfall. This way, I would not only capture the beautiful afternoon light in the desert but also catch the sunset and the golden hour with the city lights on. I checked my apps and figured out the best time and went on to buy my tickets in advance. At the time of my visit, tickets were sold-out, and many people were turned away. By getting your ticket in advance, you not only save some money but also guarantee entrance at the time of your choosing. There are two types of tickets available. The more expensive At The Top Sky included a half-hour stop at level 148, after which you can spend as much time as possible at level 124 and 125. Level 148 is the highest observation deck in the world, at 555 m. The view is great, and you also get a complimentary drink at arrival. The cheapest ticket will take you only to levels 124 and 125, where you can stay as long as you want. When I visited, I got the Sky ticket, but next time I would stick to the cheaper regular ticket. Although level 148 is the highest you can go, the difference when already at such heights is minimal. Also, levels 124 and 125 have a huge advantage over the top level: outdoor observation deck. It allows for great photos and views without glass reflections common to indoor observation areas. After one whole day driving around Dubai, I arrived at the Dubai Mall one hour before my visit. 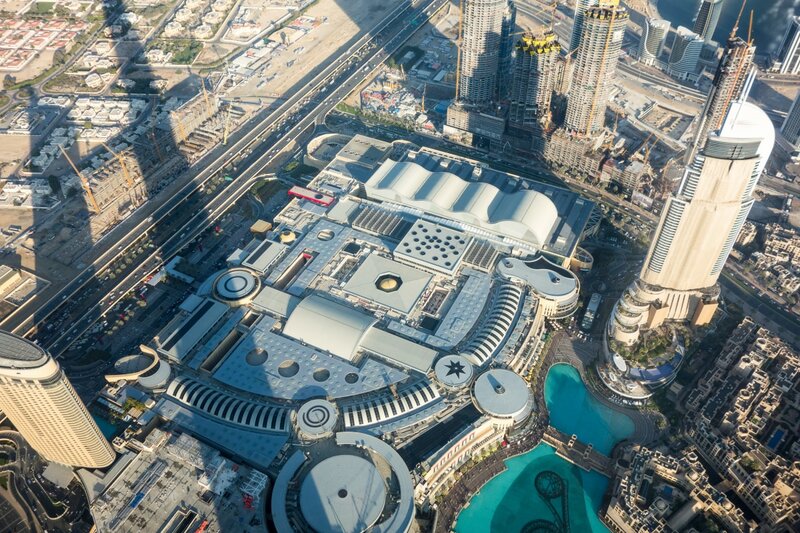 Not a friend of malls, but a friend of mega-buildings, I also wanted to take a look at "the largest mall in the world." Boring as hell, by the way, just a large shopping mall, nothing special. The entrance to the tower is at the mall, somewhere in the ground floor level. It was a bit disappointing to reach such a huge building via another huge building, which reinforced my distaste for towers on top of large plinths. I was able to quickly alleviate the stress of the Dubai Mall at the observatory reception process. 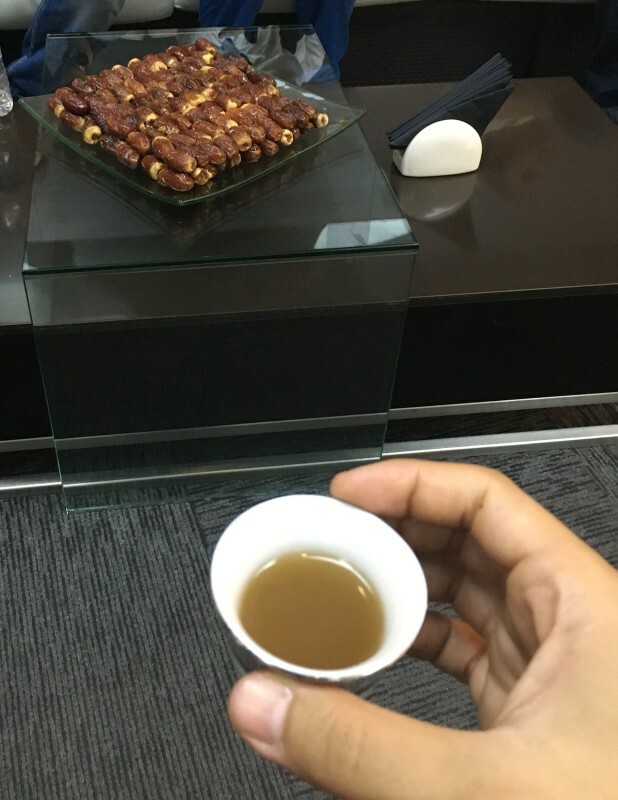 A group of around 20 people (all booked at the same time, I reckon) were directed to a room with plush sofas, served tea and Arabian snacks, and given a brief explanation of what was about to happen. Then we were led to the elevators, non-stop taking a few minutes to reach level 148. There were the usual fancy elevator displays you find in most tall observation decks, but nothing memorable as all we wanted to see was the view from above. At arrival on floor 148, we were greeted by another drink and more snacks. 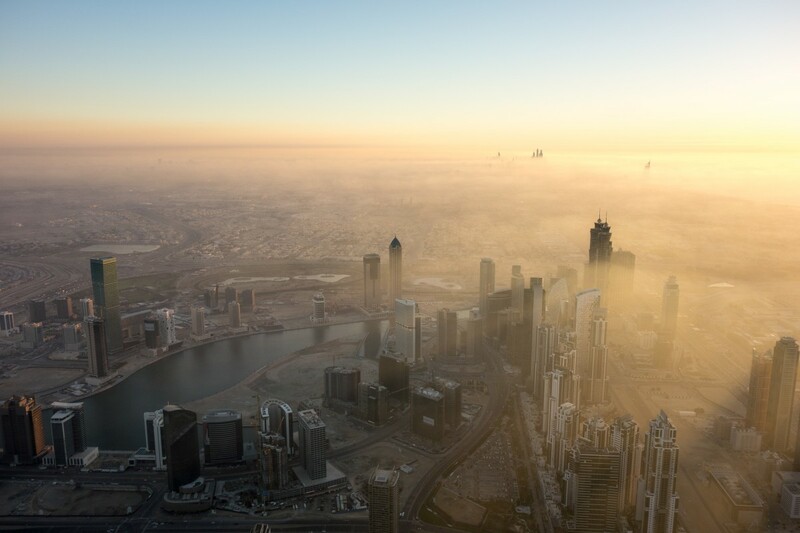 Then you finally see it: Dubai from above. The view in the first room is to the north, where you can see Sheikh Zayed Road lined with Dubai's first skyscrapers (including Fosters+Partners magnificent Index Tower). The airport is visible to the northeast, beyond the Dubai Creek. To the east, you can see the desert, and to the west, the sea. The islands composing the famous artificial archipelago The World are barely visible on the horizon. This room, however, was indoors, and the window space was quite disputed, its reflections not helping our frantic photo-taking. Time to move on. On the lower level 124 (452 m), however, was the real gem: an outdoor observation deck, where we could finally have unobstructed views of the city. And oh, the view was fantastic. 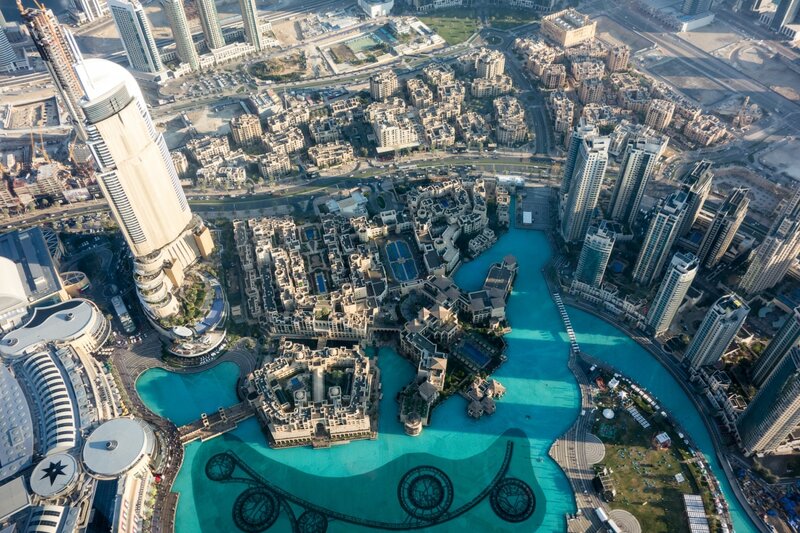 Right down, the houses and hotel around the Dubai Fountain looked like a realistic scale model. Southwest, the Burj Al Arab standing on the water did look like the sails of a ship starting off-shore. Further south, The Palm was visible spreading its leaves on the sea, right next to the pinnacles at the Dubai Marina. In between all this, city and roads. Dubai is much larger than I expected, the roads are broad and long, the lower neighborhoods are vast. Then came in the fog. The famous Dubai fog. How lucky we were, to see the whole scenery transformed by this fog coming from the sea. Suddenly we only saw the tops of most buildings, all surrounded by this smoke made golden by the setting sun. By nightfall, the fog had dissipated a bit and, when the lights came on, another spectacle. The wide roads were constantly moving, and the twinkling lights of all the houses and building made it all look like a cleaner version of Blade Runner. It was breath-taking. Down the foot of the towers, we could see the dancing fountains start the first show of the night. After a couple of minutes, we decided it was time to say goodbye to the scenery and take a look at those. On our way down, another surprise: an exhibition about the design and construction of the Burj Khalifa. For architects, a fantastic display of how such a behemoth came to reality. Definitely worth the last half hour of your visit. On the way out, a quick look at the little dancing fountains show, which is also quite nice. A last look up, the tower fully illuminated. The pundits can say all they want, waste of money, unnecessary display o wealth, it does not matter. It is still a magnificent piece of engineering and architecture that deserves to be experienced by everyone. 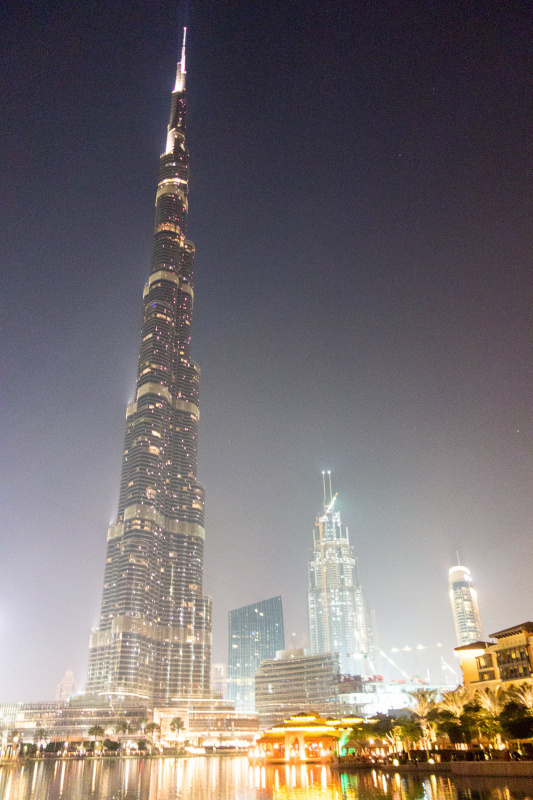 If there is one thing you do in Dubai, let it be a visit to the Burj Khalifa.